The “BREAD CULTURAL ROUTE” is not a tourist attraction but a destination experience. It falls in the categories of cultural, social and green alternative tourism, offering tourists a variety of interactive activities that leave them with lasting emotional memory from their vacation in Bulgaria. What a better way to return home not only with a nice photos, but also with new acquired skills and arts! 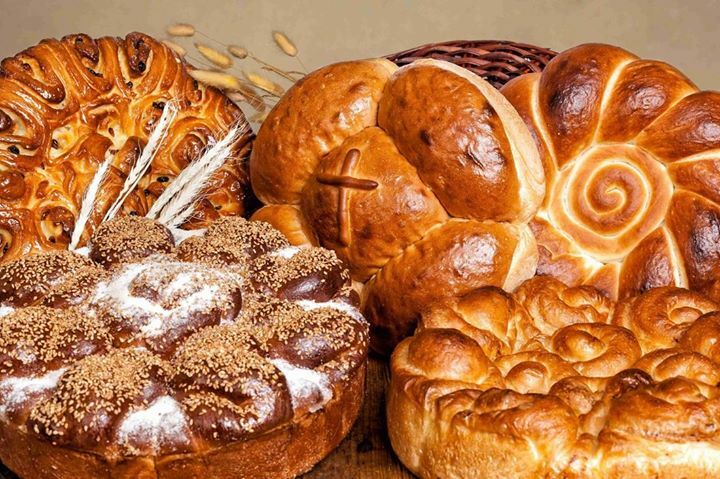 The route goes through five cities with rich history and traditions, where tourists will master different recipes for the preparation of traditional bread and pastry products. Each one of them has worked locally for the revival and the enrichment of forgotten traditions related to food, arts and crafts. The idea of our Bread Cultural Route is to offer a unique journey through the Bulgarian history and also through human imagination. Through the innovative method for community baking called "Theater of crumbs", tourists will learn about the interesting facts of the history of Bulgaria. By drawing in flour and creating sculptures/symbols and puppets out of dough, they recreate their collective sense of history in the present. Part of the concept of the Route is to play a game. Each group that has visited some or all of the sites of the Bread Route will not only take freshly baked bread along but will also take from each subsequent Bread House one of bread’s ingredients (flour, salt, sugar, yeast, local spices, etc.). Once you passed all the sites, you will have fractions of the whole. In the last Bread House, before the group splits and departs, again all together with “Theatre of the crumbs” will knead a collective bread from all your previously collected experiences while in Bulgaria. Join us and let`s create together your most delicious, interesting and unforgettable memories ever! Breakfast. Drive to the medieval capital of Bulgaria. Veliko Turnovo is one of the most picturesque Bulgarian towns, preserving the atmosphere of the past century. It is standing in tiers above Yantra River which meanders through the elevations of Turnovo and the three hills - Tsarevets, Trapezitsa and Sveta Gora. The buildings, perching one above the other, overhang rocks and precipices and Yantra River below, standing close to one another along narrow winding streets. Visit of Trarevets Royal Hill and Samovodene open-air crafts` market. Overnight in the town. The theme of kneading bread is associated with the Second Bulgarian Kingdom and its capital Tsarevgrad Tarnov. Tourists will be familiar with various historic little known facts.The theme "Kingdom" will bring people to the idea of unity by introducing the Latin term company” (com+panis), which means “sharing bread”. This is the starting point on this journey. Of the Association "Tradition" Veliko Tarnovo. Breakfast. Morning drive to Arbanasi and visit the Konstantsaliev’s House (one of the largest and most lavishly decorated houses of the Bulgarian National Revival) and the Church of the Nativity of Christ, the oldest church in Arbanasi, unique with its frescoes. Continue on to the town of Gabrovo. It is situated in the immediate proximity of the geographical centre of Bulgaria and itself is a centre of humour and jokes. Gabrovo continued to develop as the biggest textile centre of Bulgaria after the liberation and it was by no accident that it was nicknamed "The Bulgarian Manchester". The town is known for its beautiful revival houses, churches, bridges, drinking-fountains, a clock tower, etc. The Gabrovo Bread House is more than 100 years old. The Theme of kneading is associated with the historical fights for Bulgarian liberation from the Ottoman Empire on the Shipka Peak, and the fact that the entire local population was mobilized to provide food for the troops. Day and night the Households were baking tons and tons of bread to help secure the Bulgarian freedom. This bread was called “the Freedom bread”. The group will interpret this theme and will complete its "battle" fought in the name of goodness and love. As part of the program, at the Bread House there is a unique exhibition of local “gaitan” (typical woolen string) woven crafts, a collection of bread stamps from around the world and demonstration on how to make Gabrovo’s pita bread (purlenka). Also, they will visit the Social Enterprise Bakery. Drive to The Etara open air museum. It commemorates the arts and crafts traditions of the region and one can get a real sense of the skill and passion of the craftsmen here. Continue with visit of the Shipka built in honor to the heroes of the Russian-Turkish war of Liberation of 1977 – 1878 – Russian soldiers and Bulgarian volunteers. Its gold plated domes and beautifully ornamented façade stand out against the mountain and attract the attention of all heading for the Shipka pass. Contunue ro Plovdiv. Accommodation and overnight there. Breakfast. Departure for Plovdiv and tour of the Old Town. The city lies on seven hills which are noticeable from quite a distance. The hills, as well as the old town of Plovdiv bring specific color and atmosphere to the town and shape up its unique view and nature. A contemporary of Troy and having survived Mycenae, Plovdiv is a city upon layers of cities and an epoch upon layers of epochs. The most interesting landmark is The Old Town of Plovdiv Architecture Reserve which covers the Three-hill area. It is the original location of the town and almost all of the most interesting history-related sights are within it: cult, residential and public housings, archaeological monuments and museums, narrow cobble-paved streets. The Bread House in Plovdiv 150-years old and today opens doors to tell us about the diverse traditions of the multi-cultural Plovdiv and its ethnic groups (Armenian, Jewish, and Turkish) and their peaceful coexistence. Wisdom lies in continuity and mutual assistance. Plovdiv is one of the oldest cities in the world where cultures, traditions and people are intertwined from millennia. Our guests will learn a brief history of each ethnic group and will travel through the taste of bread and Armenian pastries across several eras and civilizations. As part of the program the group will also visit the nearby Ethnographic Museum and its exhibit of traditional tools for sewing, harvesting and grinding wheat. Breakfast. A day dedicated to Koprivshtitsa Museum town. The town has its own spirit, now a museum where one can feel the atmosphere of the Bulgarian Revival times and architecture. The most typical for Koprivshtitsa are its houses of 19th century, constructed from a combination of timber, stone, mud and straw in flamboyant colors. Check in and overnight in a hotel. 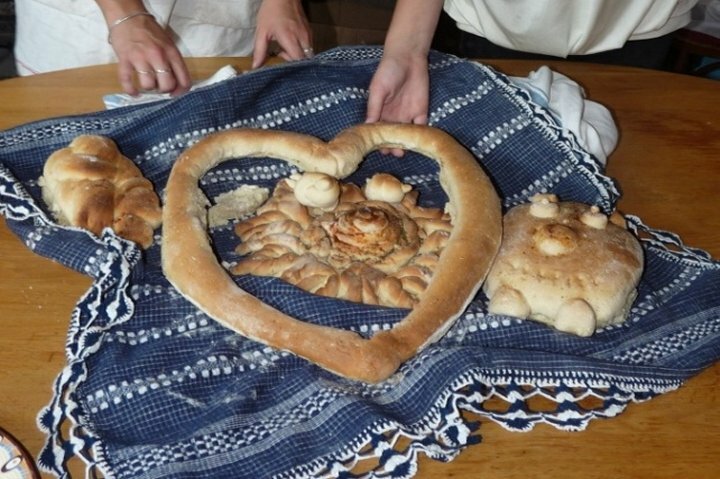 The Bread House in Koprivshtitsa is the place where the tourists impart knowledge and skills in the field of gastronomy as a bridge between generations, which include cooking in addition to baking. The group will be immersed in the authentic atmosphere of the recent past to witness the transmission of traditions in the kitchen. Breakfast. Transfer to Sofia Airport and departure.